It has been a time for me to delay my blog. I am very sorry. The summer seems to be over in Hanoi and we daily meet with the occasional rain and the temperature gradually becomes cooler here. 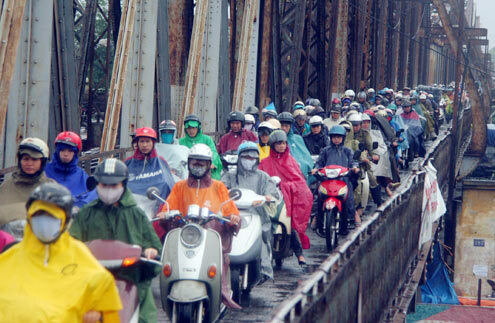 In this season, a poncho-like-raincoat is a must-have gadget for us, as most of us drift around the city by motorbikes and have to protect ourselves from a sudden autumn rain. 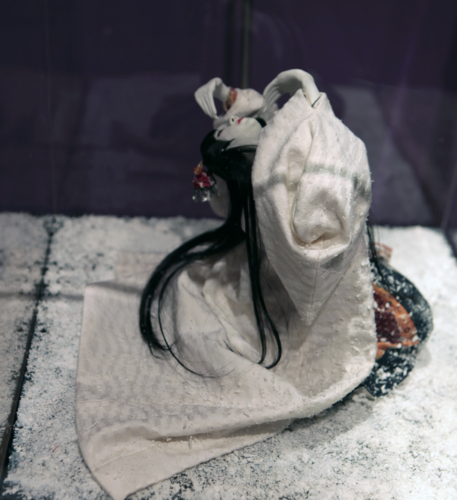 Anyway, even this changeable gloomy weather cannot stop the people to come to our new exhibition entitled “Art Dolls: Silent voices” by Ms. Tran Thu Hang, whose opening was held on 6 September 2011. 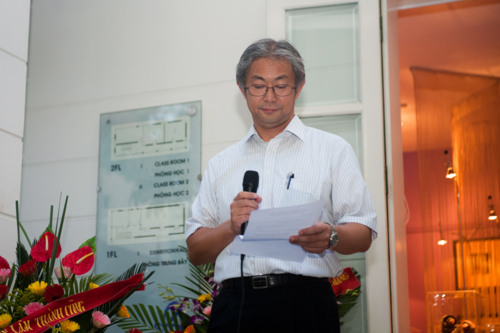 This is the very first time for one Vietnamese young artist to exhibit his/her artworks in our exhibition hall. This project is entitled “Young Talent Series”, in which our center aims to provide the opportunity for a young Vietnamese artist to exhibit their collection of artworks in a format of a solo exhibition for the first time in his/her career. Ms. 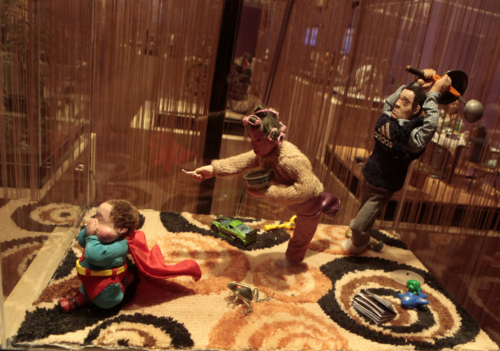 Hang, who is considered as the first dolls artist in Vietnam, started to make her own dolls since she was a child. After graduated from Vietnam University of Fine Art, she started to focus on making wooden dolls inspired by Japanese dolls which she has one seen in an exhibition. I am very surprised to know that she learned to make the art dolls nowhere. She found the technique by herself and made the dolls with her own imagination. She is skinny but with strong arms. You will be amazed if you can see how she controls a big cutter machine and uses the knives to carve the wooden shapes. I wonder how that skinny hands can be that powerful. In the exhibition, she also made some new art works related to Japanese culture, especially related to our concern on the last tsunami and earthquake in Japan. 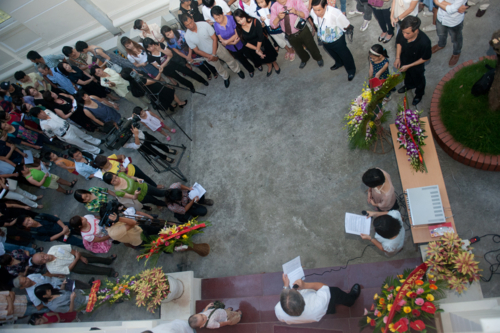 In the opening day, we welcomed more than 360 visitors to our center. 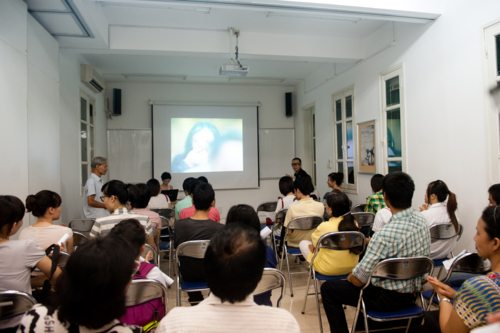 Most of them are art students and young artists in Hanoi and some are of the artist’s networks. 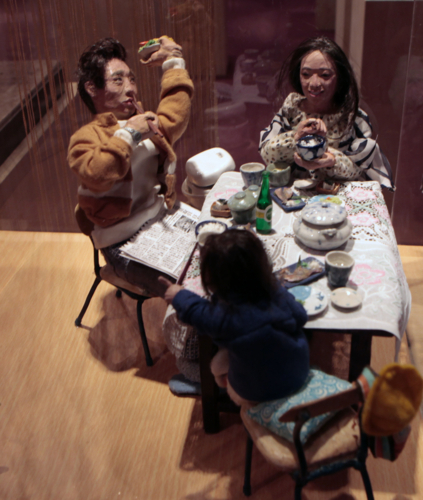 It seems that despite how old we are, we are always attracted by dolls let alone the dolls of Ms.Hang tell us a lot of stories and bring us the nostalgia of childhood. I did visit the exhibition 3 times already and I don’t think I can refuse to see it some more time until the end of the exhibition on 7 October, 2011. 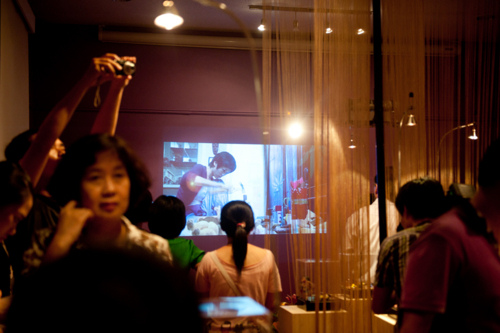 A video of the process of making the art dolls is screened on the wall in the exhibition hall. 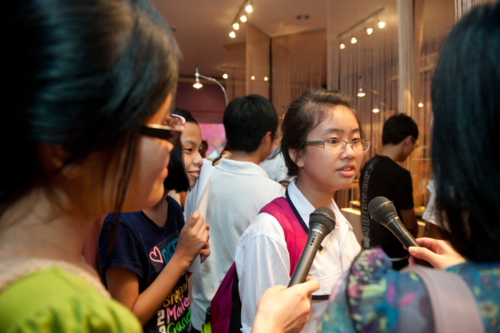 A young visitor is interviewed by several TV reporters. One visitor is taking photos the artwork “Cluttered at the Fair”. 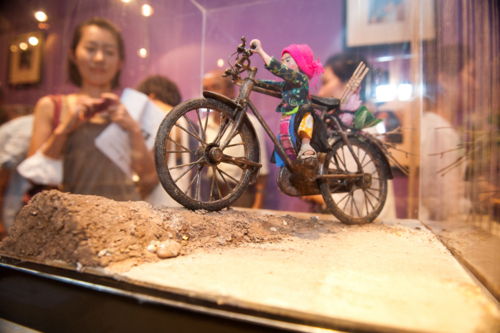 This is about one Vietnamese highland minority ethnic lady travels to the fair by bicycle. 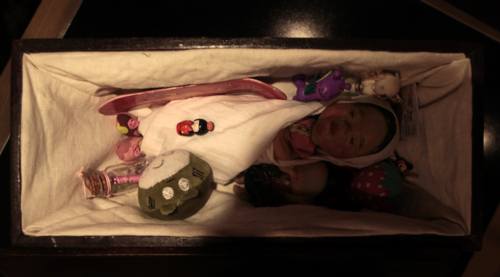 “Toy boxes”, the one amazes visitors describing a baby victim in the tsunami and earthquake. 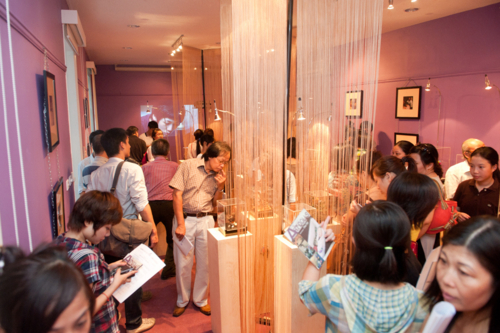 The exhibition runs until 7 October, 2011 and I hope the number of the visitors will break the record of the biggest number of the visitors in our exhibition hall. Hope you will enjoy the exhibition with the photos.